Sky Sports channel revamp and new subscription options arrive 18th July | What Hi-Fi? As expected, Sky has unveiled a major revamp of its sports channels. Under the changes - which kick in on 18th July - you'll be able to subscribe only to sport that you want to watch. Sky will offer 10 channels, five of which will cover a specific sport. Sky Sports Premier League will only show action from the UK's top-flight league, for example, with all other football finding a home on Sky Sports Football. There are also dedicated channels for cricket, golf and F1. You can subscribe to just one of these for £18 a month, two for £22 or three for £26. Want the full complement? It'll set you back the same £27.50 that current subscribers pay. All the other sport that Sky covers (like rugby league, rugby union, tennis, netball, darts, NFL etc.) will be shown across two new channels: Sky Sports Action and Sky Sports Arena. There's also a new channel called Sky Sports Main Event, which will showcase the biggest live sporting events. Finally, Sky Sports News and taster channel Sky Sports Mix will be free to all Sky subscribers, even those who don't pay for Sky Sports. Sky Sports passes on Now TV will include all the channels. They will remain the same price as before: £6.99 a day, £10.99 a week or £33.99 a month. 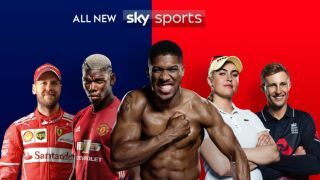 Sky is also promising new programmes, including a nightly football debate show on Sky Sports Premier League, masterclasses from the likes of Shane Warne, and new sporting documentaries. All of its digital platforms will be brought together in a new and improved Sky Sports app for smartphones and tablets.